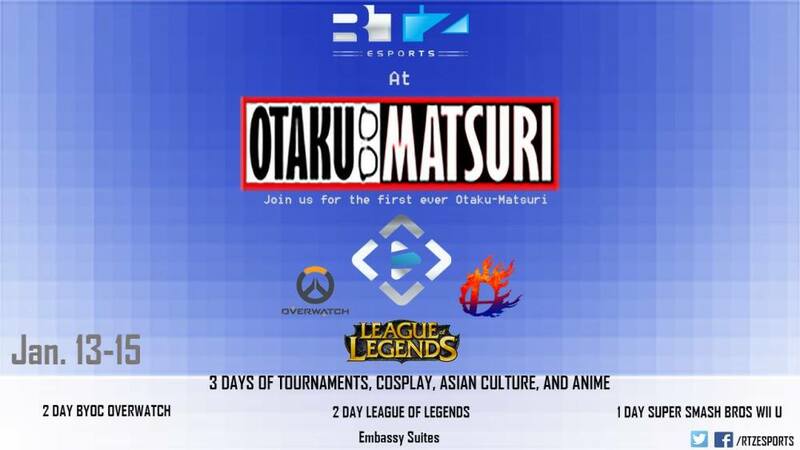 Otaku Matsuri has partnered with RTZ eSports to bring you some amazing events. "Join us for the first ever Otaku-Matsuri! Otaku-Matsuri is an Asian culture and entertainment convention bringing you a variety of anime, gaming, and culture events!" Fee includes both Doubles and Singles entry. Event is BYOC - ethernet and power will be supplied. Prize Pool may go up depending on Sponsorship Participation. Attactions and vendors will be on site! More information to follow, including setup times, sponsors, Viewing room, and activities.